Running. One word that for years struck fear into my heart. Despite the wind in Wellington, it seemed it was never at my heels. I have a complicated relationship with physical exercise in general. As a kid, I’d rather be drawing than playing tag, or making up imaginary games (who else can relate to this). I tried lots of types of sports, including netball, rowing, cricket and flipperball (I was so excited to start but then after one session knew it wasn’t for me) and always ended up losing interest growing up. I felt like there was no sport that would be right for me - and the worst was plain old running. At school, it was compulsory to enter Cross Country, and I would loathe it. I fell over in one, and came second to last, slightly to my mother's embarrassment (to be fair, we were never encouraged at home to go nuts with being sporty - our family are more into books!). I hated running so much that when we were forced to run around the park at school, I would run until the teachers couldn't see me anymore and then walk as slowly as I could. It always felt like some girls had a Gisele-like spring to their step, and were naturally wirey - practically made for running. I, on the other hand, had a long plait down to my waist, bad hand-eye coordination and resembled a warmed up dumpling with legs when trying to run. I hated getting sweaty and so did everything I could to avoid running as much as I could after it stopped being compulsory. When I grew up a bit more, I did start to toy with running a bit, beginning around the 7th form when I was wanting to lose a bit of puppy fat for our school ball or because I was lethargic during study leave. My reasons for exercising were purely superficial. I wanted to slim down. I never took it to excess but was very typical of the way a teenager regards exercise and herself: based on a dissatisfaction with the way I looked (luckily, I always liked roast chicken more). 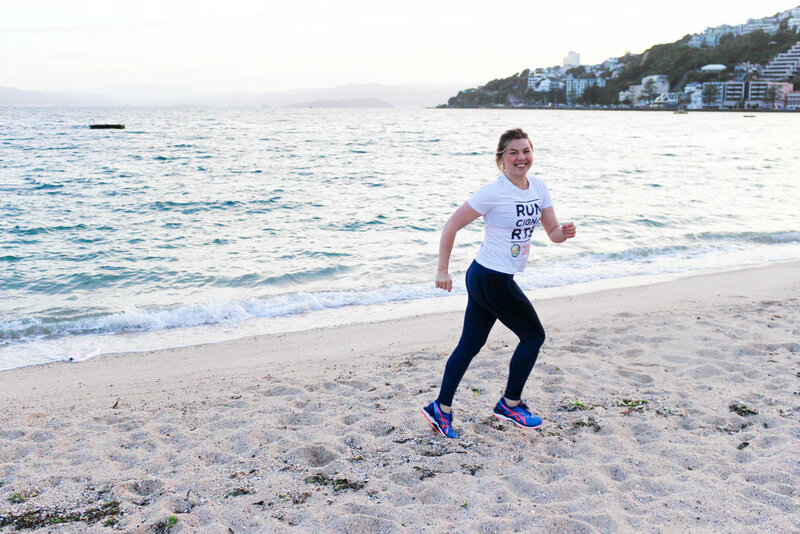 In my first year of University in Auckland, while I can’t remember running THAT much, there was certainly a shift in how I regarded exercise and my relationship to it. I was stressed out, trying to get into first-year law school, and running became something that helped relieve that stress. I would go for a run because I felt like it because it helped my mood. I can remember running from my hostel on Symond Street up Parnell rise and across the Domain. In my early twenties, I continued to run on and off. At 20 I had a gym obsession that involved a fair bit of running. 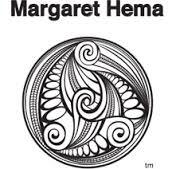 I remember running around Wadestown and around near Otari Wilton Bush, memorising my Criminal Law essay in my head, with the beat of each foot hitting the pavement. Eventually, I got patellar tendinitis which really gutted me and running went on the back burner for a long while. However, recently I've considered giving it another go and trying for Cigna Round the Bays. A few weeks back, the lovely organisers approached me and asked whether I’d be up for being an ambassador which is MAD - and which I’m so chuffed about. I always thought that sporting events were for slim muscular types who had ‘Personal Bests’. However, now its been about twenty years, I think I can put the trauma of Cross Country behind me. I’m so proud to be part of this event and hopefully will get some more of you like me to sign up (i.e. prefer the crunch of proper crisps to the crunch of gravel underfoot). You can walk, as well as run it, and just grab some mates for a bit of a lol. I’ve decided to start small (Rome wasn’t built in a day) and to do the 6.5 km run. It goes from Frank Kits Park through to Kilbirnie Park and is something that is certainly achievable for me. I’m at the stage of my life where I want to participate and challenge myself a wee bit but I don’t want to set ridiculous expectations I know I’ll fail. Even if people laugh and think that the small one is too easy, I’d rather finish and feel satisfied that worry about that. I’ll also be keeping up my Bikram yoga to help stretch my body so I don’t get tight muscles. I find that this really helps to prevent injury. Of course, what’s a running training programme (which I still need to download from the Les Mills site) without fancy new shoes. I was thrilled that Shoe Clinic agreed to give me and Matt (who wants to do the 10km - we'll see, Matt, we'll see...) a wee discount so we could get fitted properly. I've ended up with a pair of very neat shoes that I am sure will take me to the finish line. I love that they fit so well, thanks to the tests they run at Shoe Clinic to ensure the perfect fit (they're also SUPER lovely!!). On my journey to Cigna Round the Bays, I’ll be sharing updates on The Residents blog here and also on my Instagram, Instagram stories. YouTube and Twitter - so if you’re not following me make sure you are. I’m so excited to see what happens! If you haven’t already, get your entry here.